Transparency International Bangladesh (TIB) celebrated International Right to Know Day 2017 with great enthusiasm. Besides holding human chain and debate competition, TIB joined hands with the Information Commission in holding different awareness campaign including rally, discussion, information fair in the capital to aware the people of their rights to get information at ease. In 45 locations of the country, the members of the Committees of Concerned Citizens (CCCs), YES, YES Friends and Swajan members joined hands with the local administration to celebrate the day at local level. Rally, information fair, discussion, anti-corruption cultural programme, Right to Information Act campaign were organized to encourage proactive disclosure of information and aware people. Ministers, bureaucrats, local government representatives, common citizens and students also attended the programmes. Addressing a human chain on September 27 in Dhaka, TI Bangladesh Executive Director Dr. Iftekharuzzaman said, the Right to Information (RTI) Act 2009 was enacted with a view to strengthening and making effective the people’s right to seek information and expression which are guaranteed in the Constitution of Bangladesh. But the relevant government institutions are creating bottlenecks on the way of people’s right to information, speech and expression. The effective implementation of the RTI Act will not be possible if the government plays both sides, observed Dr. Zaman. Mentioning that people of different non-government institutions including mass media are facing serious legal risk in practicing the right to freedom of expression for the misuse of section 57 of the ICT Act, Dr. Iftekharuzzaman called upon the people to be vocal against section 57 of the act. Reminding the government of the Target-10 of SDG-16 which has emphasized on ensuring people’s right to information, Dr. Zaman urged the government to ensure people’s right of access to information. He also urged the authorities to update their websites by furnishing proactively disclosed information. As part of celebration, TI Bangladesh participated in a rally and set up a stall in an information fair on September 28 in Dhaka organized by Information Commission. TI Bangladesh also organized a series of public awareness campaigns across the country for the enforcement of people’s right to information. 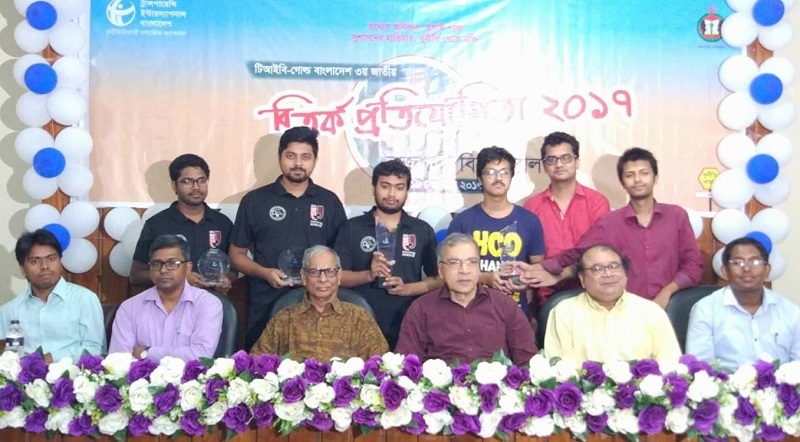 In partnership with Group of Liberal Debaters (GOLD Bangladesh), a renowned debating club of Rajshahi University, TI Bangladesh organized a three-day national debate competition in Rajshahi University during 12-14 September in which 96 debaters from 32 public and private universities participated. The Committees of Concerned Citizens (CCCs) and the Youth Engagement & Support (YES) groups working with TI Bangladesh organized information fairs in several locations of the country with all out support from local administration. YES members also trained the enthusiastic visitors, mostly youth, on how to file request for information using the official format. RTI Fair, which has been proved to be a powerful medium of strengthening both the demand and supply side in implementing RTI Act, is now being replicated by some NGOs. The RTK Day campaign run by TI Bangladesh's 45 locations also includes rallies, human chains, street theatres, advice and information desks, cultural programmes, seminars, discussions, and cartoon exhibitions. For wider dissemination of the demand for people’s right to information, a television commercial (https://www.youtube.com/watch?v=0ysOTA-VUbE) of TI Bangladesh on land issue was broadcast during prime time on September 28 in five popular television channels- Channel I, ATN Bangla, NTV, Channel 24, and Ekattor TV. In addition, a large number of RTK-related cartoon stickers and flyers were disseminated across the country to popularize the people's demand for information.